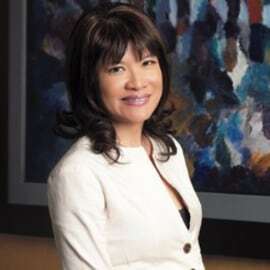 Shinta Kamdani is Chief Executive Officer, Sintesa Group, an Indonesian conglomerate of 17 subsidiaries, which operate in the consumer and industrial product, and property and energy sectors. Ms Kamdani also spearheads many social and business organizations that have a positive impact on the environment, communities and businesses in Indonesia. Some of her roles are: Founder, Global Entrepreneurship Program Indonesia; Vice Chair of the Indonesian Chamber of Commerce and Industry; Chair of the Employers’ Association of Indonesia (APINDO); Regional Executive Board Member for ASEAN, Young Presidents Organisation (YPO); Executive Board Member of WWF Indonesia and the Indonesia Aids Foundation (YAI). She graduated from Barnard College at Columbia University, New York, in 1989 and the Executive Education programme at Harvard Business School, Boston, Massachusetts, USA in 2002.